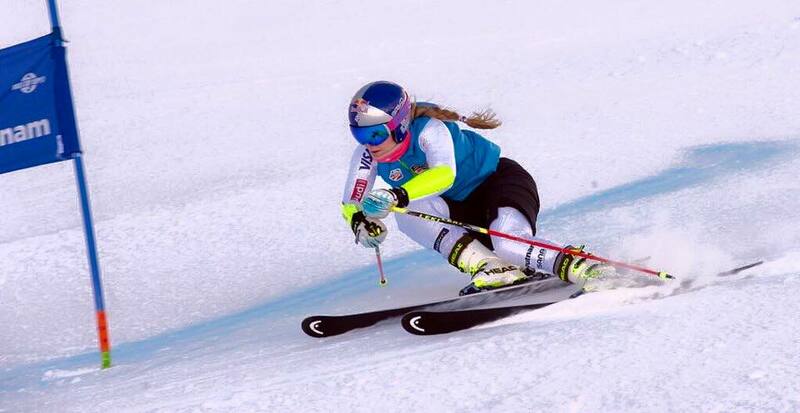 Lindsey Vonn training in Europe this week (Facebook photo). Vail’s Lindsey Vonn told her fans on Facebook Friday morning that she will not race in Saturday’s World Cup ski racing opener in Soelden, Austria. “Being back on snow the last two days has been incredible. It never ceases to amaze me how much I love my sport! In the few runs I’ve had since returning to snow I have felt strong, confident and been skiing without pain! However, the icy conditions on the race hill coupled with the fact that its only been 10 weeks since I fractured my ankle makes me slightly hesitant, and for that reason I have decided not to race tomorrow. Eagle-Vail’s Mikaela Shiffrin is on track to defend her only giant slalom win from last season when she tied Austria’s Anna Fenninger in Soelden. Defending overall champ Fenninger will miss the rest of the season after injuring her knee in training this week. Then the women’s circuit heads to Levi, Finland, for a slalom event Nov. 14-15. Vonn likely won’t make that trip since slalom is not a strong suit for her. After that the women return to Aspen for the annual Winternational on Thanksgiving weekend, with GS and slalom races Nov. 28-29. Vonn has never won at Aspen, where the highly technical courses don’t suit her style. She finally returns to her comfort zone at Lake Louise, Canada — a venue she’s dominated over the years — Dec. 1-6. That’s the same week the men — who get started with a GS Sunday in Soelden — take on the Birds of Prey course in Beaver Creek. Copper Mountain, which has been making snow for weeks on its U.S. Ski Team Speed Center full-length speed course in order to host training ahead of its Nov. 6 public opening and team naming event, announced on Friday that — even with the new snow on Thursday — it will have to postpone that event due to the lack of snow in Colorado. The tech skiers, according to Copper Mountain, will stay in Europe after Soelden and train until Levi. Now Copper’s team naming and NASTAR Pacesetting Trials will be held Nov. 19-21 instead of Nov. 6-8. The ski area is still scheduled to open to the public on Friday, Nov. 6.